Volunteering to give something back to the society is something that always lingered in my mind for the last couple of years. But just didn’t know how to do it. Then I stumbled upon this noble organization “SHLOK” through Smitha who has been working with the organization, for a while now. I had heard the saying “There is no bad student”, but was not quite sure if it was true. On day one at Puttenahalli government school I was forced to believe the saying. The overwhelming response from the students and their interest to learn English was unbelievable. I was taken by surprise when the children didn’t want the class to end and were looking forward to the English class when I went the next time. It is very satisfying to have started with something that shapes the future of our children. 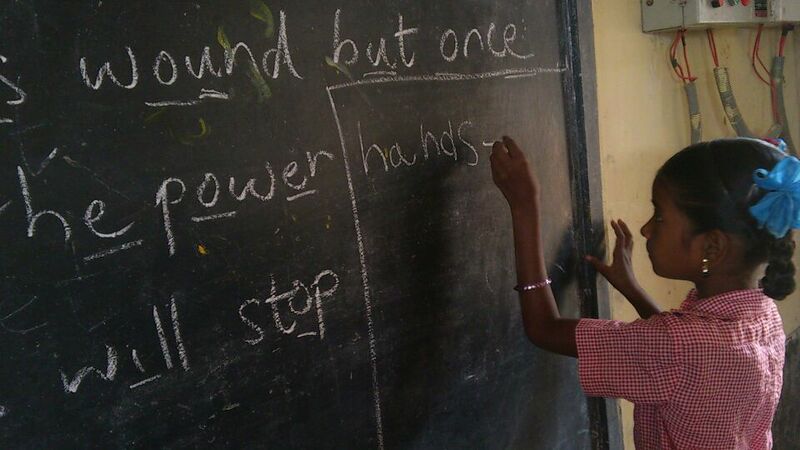 The children in grade 1 and 2 whom I taught were good in terms of what they had learnt. I would like to thank Shlok for providing a platform to realise the joy of “GIVING”. Read about Tarun’s experience here. Posted on July 8, 2014 by shlokorg	• This entry was posted in Social service. Bookmark the permalink.